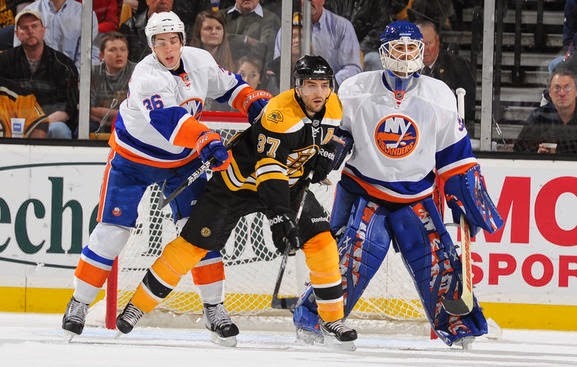 The Bruins fell to the New York Islanders 5-3 in tonight’s preseason game. Patrice Bergeron struck first, attempting a wraparound and scoring off his own rebound. The first period ended with the B’s up 1-0 as well as leading in shots 10-5. Bergeron went off for tripping and the Isles took advantage of the power play, with TJ Brennan beating Svedberg five-hole to put them on the board. Zdeno Chara took exception to Cal Clutterbuck taking a run at Patrice Bergeron at center ice and took a few swings at him after the whistle. Both Chara and Clutterbuck sat for unsportsmanlike conduct, with Carl Soderberg sitting Chara’s additional two minutes for roughing. Kyle Okposo stickhandled up the left side and beat goalie Jeremy Smith, giving the Isles the go ahead goal. A goal from Cory Conacher after a smooth pass from John Tavares put the Isles up 3-1 to end the second. The Bruins went on the penalty kill early on in the third, with Marchand off for cross-checking. Defenseman Matt Bartkowski took the puck and exploded down the left side, beating Isles’ goalie Kevin Poulin. Shortly after, Marchand exited the box and took it up the ice to tie the game for the Bruins. The Isles’ Thomas Hickey went to the box for tripping Marchand, but they were unable to finish. After the faceoff, Bobby Robins took down Cory Conacher. He was sent to the box for roughing, and the B’s successfully killed the penalty. After some body contact with Poulin, Loui Eriksson is sent to the box, putting the B’s on the penalty kill once again. A scrum led to jabs being thrown between Jordan Caron and Tavares, and Adam McQuaid and Okposo. Caron joined Erikkson in the box for roughing, with Okposo and Tavares sitting for the Isles. Marchand turned the puck over to Clutterbuck, who fired off the bench and beat Smith under the crossbar unassisted, putting the Isles up 4-3. With McQuaid and Tavares going to the box, there was a brief 4-on-4. The B’s pulled Smith for the extra man advantage, but Scott Mayfield scored an empty netter, putting the Isles up 5-3 to end the game. 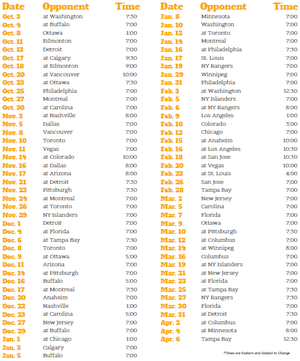 The B’s will face the Islanders during the regular season on October 23rd, January 29th, and February 7th. Let us know your thoughts. 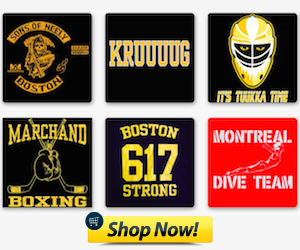 Follow @ryescaf and the rest of the team @BruinsLife.